So you must have heard so much about detox water, and are curious to know what is so special about it. Well, it’s actually water infused with fruits, vegetables and other ingredients like mint, aloe or pepper. Use fresh fruits and vegetables; however if you can’t get fresh eggs, use frozen varieties. Slice the fruits and vegetables, add to bottled or filtered water and drink fresh or let it sit in the refrigerator to let the flavors mesh together. Depending on the fruits and vegetables, this water helps detoxify your body and even help you lose weight and feel good overall. 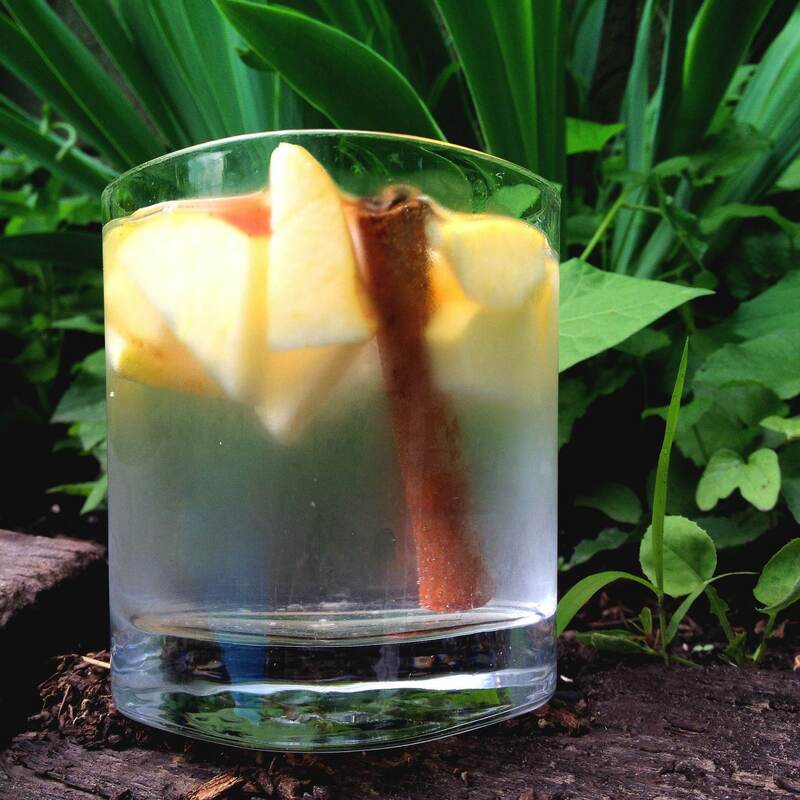 Apple Cinnamon Water: Apple and cinnamon offer a wide range of benefits eaten or drunk themselves. When combined in water, they enter your body faster and more thoroughly so that your body absorbs its nutrients for optimal health. Cut 1 fresh, seasonal apple free from blemishes, rot or mold into sections, remove the seeds and either pare the sections or leave them whole. Place a handful of the apple slices in the bottom of the bottle with a whole cinnamon stick and fill with water. Let the detox water rest in your refrigerator for a few hours or overnight before drinking so that the cinnamon and apples release their beneficial essential oils. 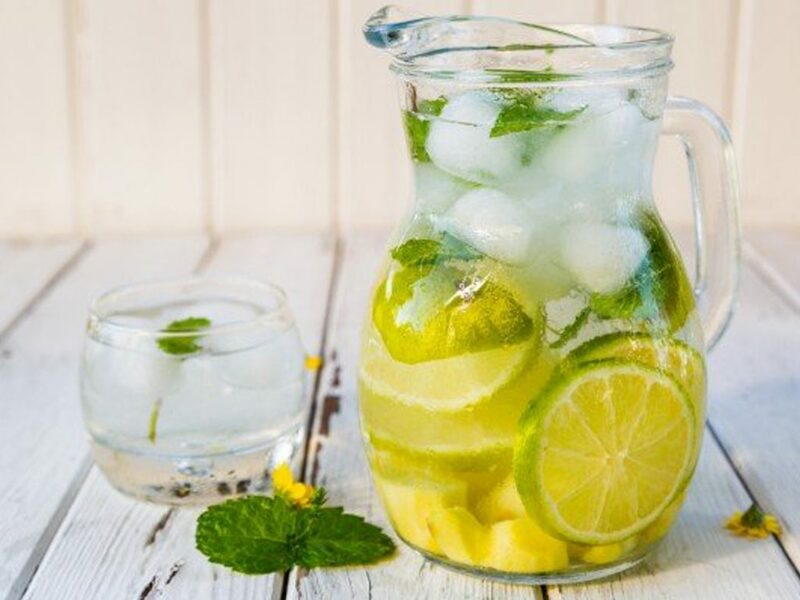 Water with Cucumber and Lemon: Cucumber is great as a ingredient for your drink as it has many nutrients which can prevent toxic build-up and lose weight. With lemon, this detox water can also help increase your body immunity and avoid frequent attacks of cold. Thoroughly clean 1 firm cucumber and lemon free from mold or rot, slice or quarter them and add to your container. Fill up with fresh water. If you don’t like the taste of cucumber seeds, remove them and the lemon seeds before placing into the water. Let the water stay for a few hours or overnight and drink to reap its benefits. Watermelon Infused Water: Watermelon is not only good for your liver, but its citrulline flushes out toxins from the body and boosts your metabolism. This detox water includes mint which helps improves the sweetness of water without adding calories. For added taste and charge to your drink, you can add a little lemon juice to the drink as lemon juice is a great metabolism booster. 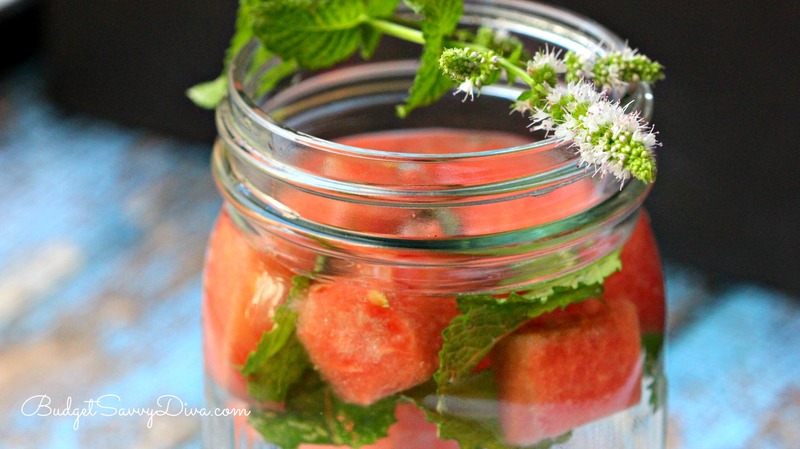 Now take half a cup of cubed watermelon and 10 washed mint leaves and place in a large jar. It’s better if you use frozen watermelon and then add water. Let it chill for 10 minutes, then drink and enjoy! Ginger Cayenne Lemon: This detox water not only detoxifies your body, but also helps improve digestion and help with weight loss because of its ingredients. Ginger helps with digestion by excreting body gas and detoxifies and disinfects the body. Cayenne and lemon both offer various benefits, including increasing body metabolism to induce weight loss. Together, they make a great infusion! To make this drink, you need to first simmer a gallon of water and then add the juice of 4 lemons, 2 inches peeled and grated fresh ginger and 2 tablespoons cayenne pepper to it. Simmer for about 15 minutes and enjoy your drink! 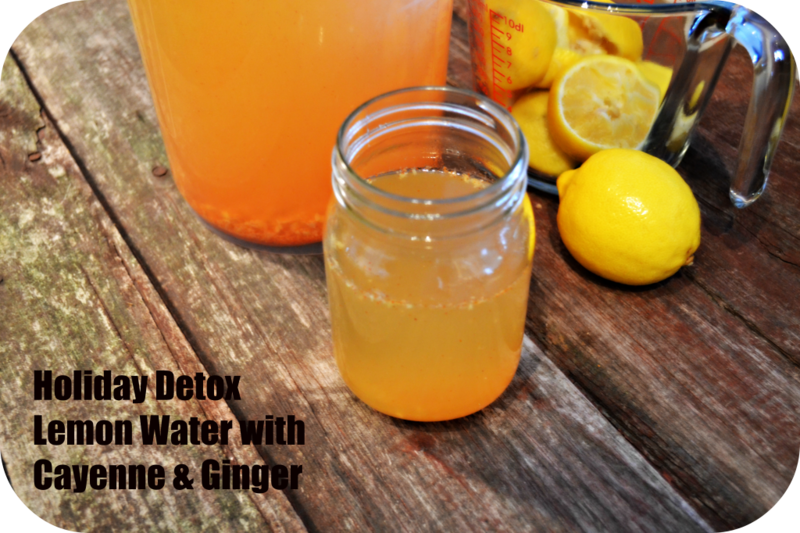 For more Detox water recipes click here.